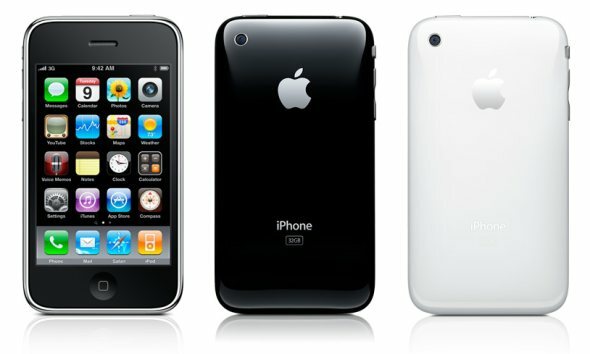 Everyone’s seen an iPhone, and most people want one, but can you tell the difference between an iPhone 3G and an iPhone 3GS? The answer is most certainly no; they look identical to each other and are no different to the naked eye. Once you’ve used an iPhone 3GS, however, you’ll realise just how different it is in this review. It’s been around 6 months since the iPhone 3GS was released and at the time many people thought that it was somewhat of a low-key upgrade from the iPhone 3G, certainly it was more of an evolution than a revolution, especially when you consider what some of the 3rd generation iPhone rumours that had been going around prior to Apple’s announcement in which they introduced us to the iPhone 3GS. 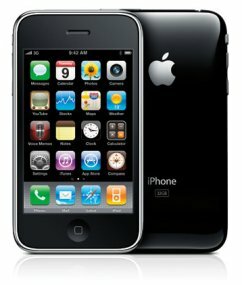 So what can be added to our previous review of the iPhone 3G? Well here’s the key improvements that we’ve come to appreciate in using the iPhone 3GS, especially if you now go back to using an iPhone 3G – these differences are then immediately obvious! I’m not talking about the user interface or any additional applications – everything that runs on the iPhone 3GS can run on the iPhone 3G, but the 3GS is significantly faster. I was sceptical when Apple decided to concentrate on speed rather than introduce new features to the previous iPhone, and without using it myself I’d never have paid the extra money for a ‘more powerful’ model over the previous one. When looking at the specs, the CPU in the 3GS is clocked at 600MHz, compared to 400MHz on the previous generation. As well as this, you’ll be getting 256MB RAM compared to 128MB in the 3G. When you’re using the 3GS it feels a lot more responsive, and the speed at which applications load (especially more intensive ones such as Sims 3) is staggeringly quick compared to what you’d get on the older generation. A surprising feature of the 3GS is increased battery life, despite a higher clock speed in the device. Battery life is always a concern in smartphones, with most lasting no more than a few hours of intensive use, but the average user will be able to get a full days charge with the new improvements to battery life. Apart from the increased speed and battery life, you’ve also got another reason to opt for the 3GS over the 3G or another smartphone. The camera in the iPhone has always been pretty shocking, as with many other phones in the market. I could never use the iPhone’s camera as my main point-and-shoot, but you’ll find a 3MP camera in the 3GS, which also boasts video recording and autofocusing for when taking still shots. You’ll be surprised how much this will increase the quality of your shots over previous generations, especially when used with the new auto exposure and auto white-balance features. Even with these improvements, I couldn’t use the 3GS as my main camera – Apple has still got a lot of work to do before that’s possible, but it’s a definite move in the right direction. When it comes to the quality of your video recordings, you’ll be impressed with it as a mobile device, although it simply can’t compete with dedicated recorders. Still, it’s a nice feature to have, and you can tap the screen when recording to focus your videos. After capturing video, you can upload your shots directly to YouTube with the help of a nice feature from Quick Time X on Snow Leopard, which allows you to quickly trim your video, allowing you to edit out unwanted sections. If you’re a current iPhone user with either the original generation or the 3G model, you’ll definitely notice a speed increase which is always nice, but depending on your budget, you may not want to shell out for what’s essentially the same iPhone with a few tweaks. For those of you thinking of buying an iPhone for the first time, you’re in luck, especially with it now being on multiple UK networks, so you’re no longer restricted to O2’s network. By the end of January 2010 you’ll be able to buy a PAYG iPhone or get one on contract with O2, or an Orange iPhone, or Vodafone iPhone and even a Tesco iPhone – who’d have thought a few months ago, we’d end up having this much iPhone network choice in the UK? 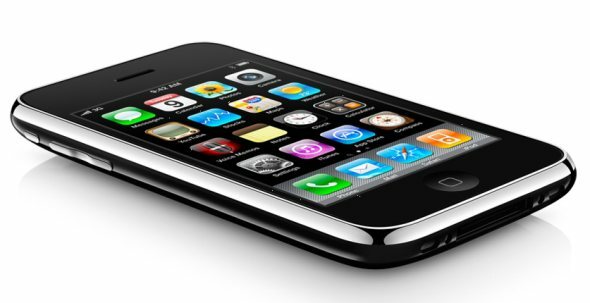 Have you got an iPhone 3G/3GS? Which network have you got your’s running on? What do you think to both your iPhone and choice of network, let us know by leaving a comment below!